In Holland, “Phantom Of The Night” was very successful. As a result, Kayak are allowed to record the next LP in Los Angeles, using more or less famous American studio musicians. Amateur footage of their USA adventure can be seen on YouTube. In the USA, there are talks about Arista being the new record label, taking over from the collapsed Janus. 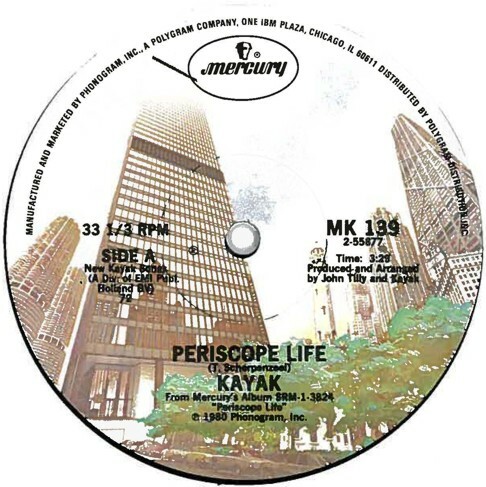 But “Periscope Life” is released by Mercury Records in the USA. A promo 12”-single is sent to radio stations, but doesn’t make a lasting impression. The album does not reach the charts either. From then on, things get worse. In spite of some announcements, no further Kayak LP’s are released in America, and a tour never happens. 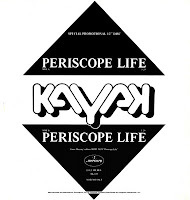 Kayak remains a cult band, but I don’t think they are too worried about that. 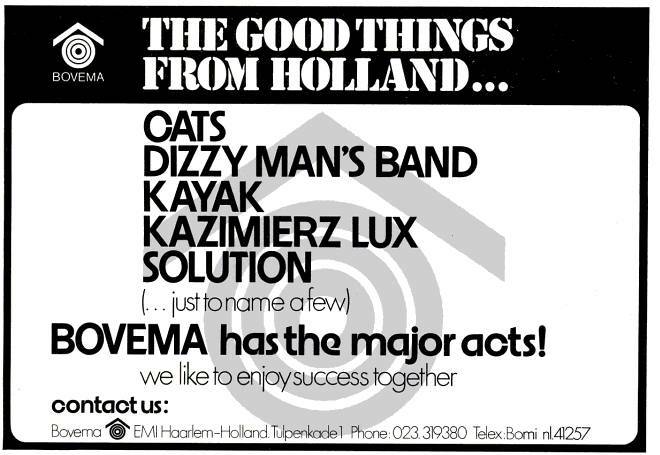 For a Dutch band, trying to make it big in America is a risky thing, with very little chance of success. Kayak were working hard enough to remain wellknown in Holland and Europe, and I don’t think they wanted to go through the necessary sacrifices to conquer America. 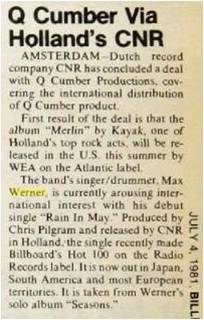 In july 1981, Billboard reports yet another new record company for Kayak. This time it is WEA/Atlantic. 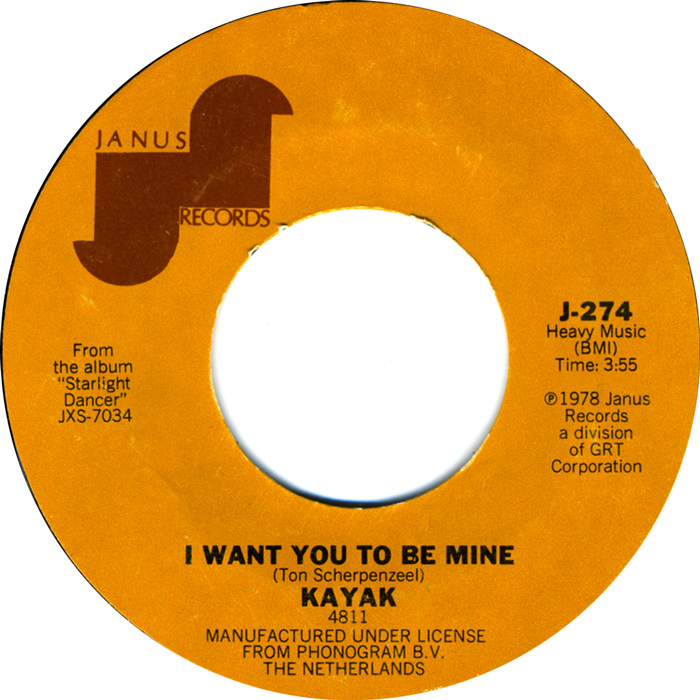 I don't know of any Kayak releases on the Atlantic label. Anybody who has Merlin on Atlantic? Please send me a message! 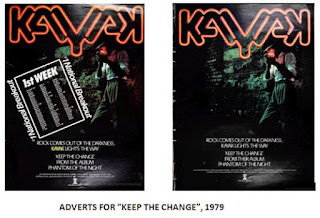 To end the story on a happier note: the invention of the Compact Disc and of course the Internet helped to prevent Kayak from vanishing into complete obscurity. 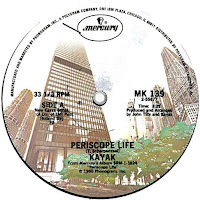 The Renaissance Record Company released a couple of Kayak CD-compilations in America, and through the Internet all Kayak albums are available to American fans. Kayak’s music still appeals to many Americans, as you can read from guestbook entries, blogs, customer reviews etc. 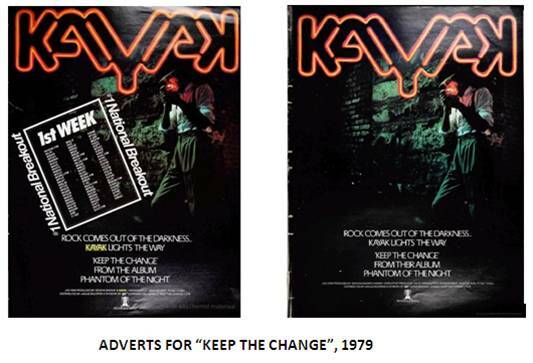 I think it’s fair to say that nowadays Kayak’s music reaches a larger audience than it did in the 1970’s. Maybe there will be another “100% confirmed” American tour in 2013??? In january 1978, Janus takes a couple of tracks from “Last Encore” and “Starlight Dancer” and releases them on LP (and on cassette and 8-track). The title is “Starlight Dancer”, but the sleeve is from “Last Encore”. 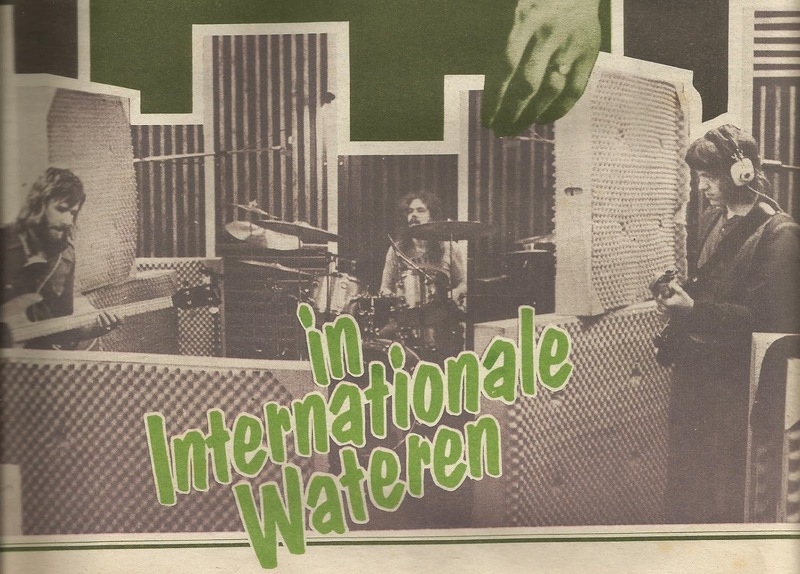 The album includes “Ballad For A Lost Friend” which was not on any LP in Holland. And the versions of “Irene” and “Want You To Be Mine” are different (demo?) recordings. The mish-mash album becomes a nice collector’s item in the years before Compact Disc. 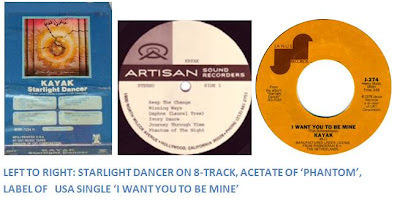 It also impresses the USA audiences at least a little bit: the LP makes it to the 117th spot, and the single “I Want You To Be Mine” surprisingly becomes a minor hit in june 1978. It reaches nr. 55 in Billboard, and even gets to the top 50 in Cashbox! Radio stations also pick up on Kayak, so with a little exaggeration one could say that America is getting to know about Kayak. 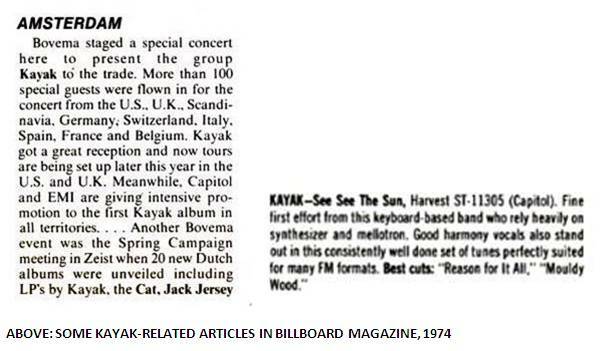 Hirschland even convinces Record World Magazine to pronounce Kayak ‘Most Promising Band’ in 1978, but nobody knows how much money that cost him… Of course, more USA tours are announced, but never materialise. Janus also releases “Phantom Of The Night”, again with a different sleeve design. 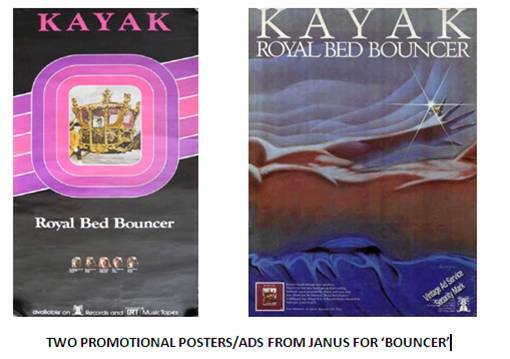 Within their limited budget, Janus tries to promote Kayak again. A promo picture disc is released, and several other promotional items are made. As a single, they choose “Keep The Change”, which doesn’t set the charts alight. The album enters the Billboard charts at nr. 176 in march 1979, and eventually reaches a modest nr. 145. Slowly, Kayak gets better known, but bad luck strikes when Janus folds in 1979. And yet another “100% certain” American tour is shelved, because of the line-up changes in the band and the following uncertainty. 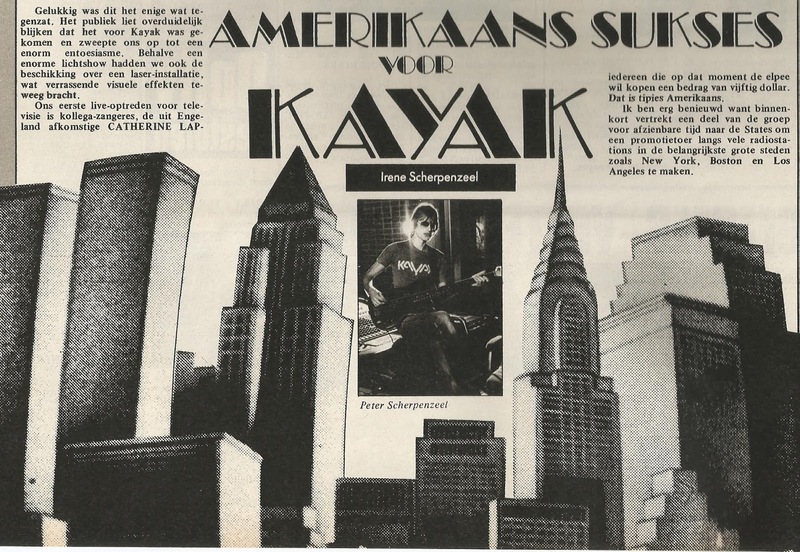 To me it was never really clear how (un)popular Kayak was in the United States. Facts are few and far between, and it looks like a story full of false promises, bad luck and a small bit of success here and there. Besides that, it was more a 'manager and record company'-thing, without much involvement from the band itself. I am sure that the new Kayak book will shed some light on how it all went, but here is what I know (or sometimes: what I guess). If anybody can fill the gaps, please do! The first small signs of Kayak appear in 1973. 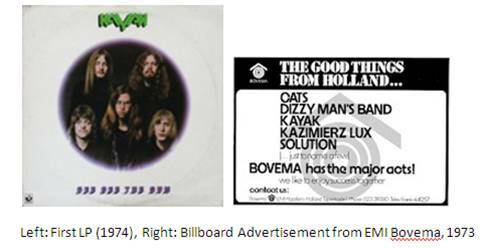 Dutch record company EMI Bovema places an advertisement in Billboard Magazine, to get some attention for their Dutch artists and bands. 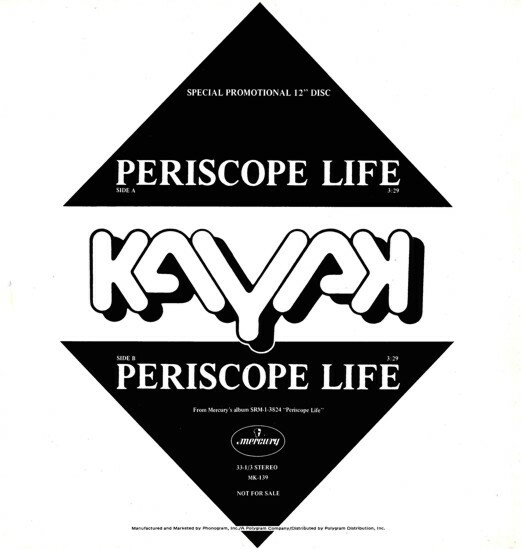 Kayak’s debut album gets an American release in 1974, on the EMI Harvest label. The LP gets a short but favourable review in Billboard. But I don’t think that Harvest released the second LP there? 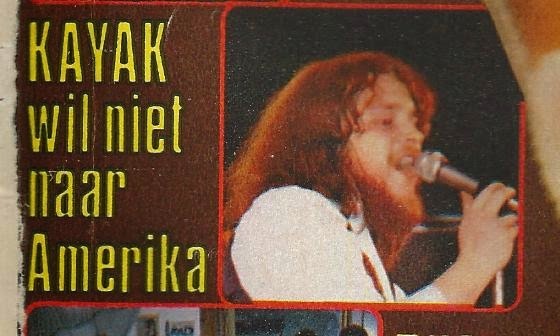 "An American tour early in 1975..."